Our range of products include mens footwear. We have carved a niche as a leading manufacturer, exporter, importer and supplier of Mens Footwear. This synthetic slipper is designed using the finest quality material & sole by our skilled professionals. The offered synthetic slipper is quality tested by our quality inspectors, in order to make certain its quality. 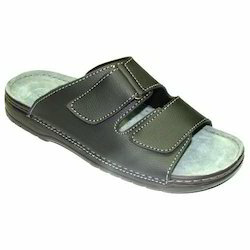 Offered synthetic slipper is demanded in the market owing to its comfort & durability. As well, customers can avail this synthetic slipper from us at affordable prices. Looking for Mens Footwear ?